4 Color Options + Full Size Range - Free Shipping! New 2019 Tiger Woods Nike Golf Classic 99 Performance Fitted TW Golf Hat COLOR: Wolf Grey SIZE: L/XL. Style: 2019 TW Classic 99 Performance Hat. 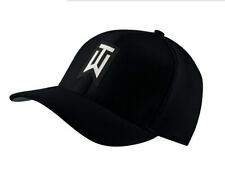 3d Embroidered TW Logo on Front. Color: Wolf Grey. 3d Embroidered Nike Logo on Back. Style: Tiger WoodsAeroBill Classic 99 Perforated. Size: Fitted L/XL. Color: Black. Condition: NEW! Crazy rules! Click "See Details" for price. 5 Color Option + Full Size Range - Free Shipping! A-Flex Fit Premium Stretch Fitted. 100% Players Performance. They must be unused and still in original plastic. Wide Shoe size + FREE SHIPPING! New ListingManulife LPGA Classic Golf Hat. New without Tags. Minty. Authorized Oakley Dealer! Lowest Price! 2017 Nike Lunar Control Vapor Golf Shoes Mens White / Black / Volt. Shipped with USPS Priority Mail. This hat is nicely embroidered with the Masters and Augusta National golf club wording and logo. NEW 2019 Nike Aerobill Classic 99 Fitted Hat/Cap. Style: 2019 Aerobill Classic 99. Color: Wolf Gray/Black. Size: Fitted L/XL. Style: Tiger WoodsAeroBill Classic 99 Perforated. Size: Fitted S/M. Color: Black. NEW Cobra Tour Fade Fitted Hat. Model: Tour Fade. Closure: Fitted. Size: Fitted L/XL. Condition: NEW! Callaway 2018 Tour Authentic Fitted Golf Cap Hat - Select Color & Size! 4 out of 5 stars - Callaway 2018 Tour Authentic Fitted Golf Cap Hat - Select Color & Size! 2 product ratings2 product ratings - Callaway 2018 Tour Authentic Fitted Golf Cap Hat - Select Color & Size! Sport: Golf. Accessory Type: Hat. We will do whatever it takes to ensure your. ProGolfSouth brings over 20 years of online golf sales experience to the table to ensure a convenient and smooth. We are owned and operated by a PGA professional. 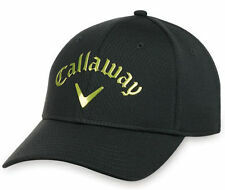 NEW Callaway Golf 6 Panel Trucker Adjustable Snapback Hat/Cap. Model: 2019 6 Panel Trucker High Crown. Closure: Snapback. Color: Navy Blue/White. Size: Adjustable. Condition: NEW! The Nike AeroBill Classic99 Hat refreshes your on-course ensemble with a floral print inspired by the course in Augusta. Nike AeroBill technology combines breathability with sweat-wicking comfort. Fabric: Body: 51% cotton/45% polyester/4% spandex. 5 out of 5 stars - TaylorMade Golf 2018 Tour Radar M3 TP5 Adjustable Hat Cap - Pick Color! 6 product ratings6 product ratings - TaylorMade Golf 2018 Tour Radar M3 TP5 Adjustable Hat Cap - Pick Color! Men and women need to make sure they have the right golf apparel in the right fit to maximize their performance on the course. 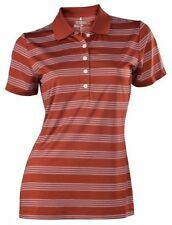 Picking the appropriate golf apparel depends on the weather forecast, the dress code, and how often you golf. How do you choose the correctly sized golf shoes? Use a tape measure to find the length from heel to longest toe. Find an online shoe sizing table to translate the inches to the sizing number. Find the closest measurement greater than or equal to your length and note the number. Buy shoes in that measurement. If you fall between two sizes, purchase the larger. What types of golf shorts and pants styles are available? Are shoes with spikes necessary to play on golf courses? Golf shoes are designed to stabilize the foot while providing enough comfort to allow you to walk around a course for four to six hours. 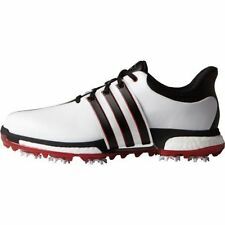 Golf shoes come in a wide range of styles from those that resemble tennis or running shoes to a more traditional look similar to comfortable work shoes. Contemporary golf shoes often utilize a soft plastic removable spike. Some shoes forego spikes and instead use contoured rubber grips. What are some brands of golf apparel that pros use? What are some golf apparel types? Shirts: You can choose from a breathable polo style made of cotton or a fabric, like polypropylene, that wicks sweat from the body. Shirts can be long-sleeved or short-sleeved. They may be designed for wear under sweaters or jackets or alone. They are typically collared as many golf courses have dress codes. Bottoms: Golf pants may be full-length, capri-length, or short pants. They might be made of twill, cotton, or another light, breathable fabric. Corduroy pants may be used for golf. They are typically made of a fabric that will pass the dress code of a local course. 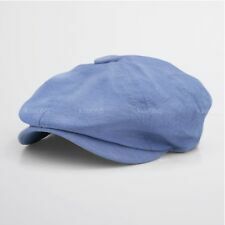 Hats: Visored headwear is common in golf. The hat you choose may consist of a full hat, a baseball-style hat, or a visor with a brim. The choice of headwear will typically vary with the temperature outside.